AS MORE mall players expand their presence in Southern Philippines, so is homegrown retailer Gaisano Grand. Gaisano Grand vice president for operations Genevieve Gaisano Go said the company will open five more malls next year. There were five Gaisano Grand malls that opened this year. One of these is the Gaisano Grand in Liloan, its 30th mall to date. The Gaisano Grand Malls envisions to operate 50 malls by 2020. Genevieve noted that the malls slated to open next year will not be in Cebu. Instead, next year’s expansion will focus on other key cities in the Visayas and Mindanao. The official named Calbayog City in Samar and Davao City as their next expansion areas. “We look for places where there is potential. There are a lot of opportunities (in the retail business), but very competitive,” she said. 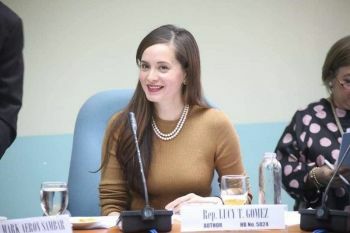 In Cebu, however, future expansions will be in municipalities since the key cities are already heavily penetrated, she observed. SM Seaside City and Robinsons Galleria are two of the biggest players that opened in Cebu this year. Robinsons Galleria at the North Reclamation Area is opening today while the SM Seaside City opened last month. For Gaisano Grand Malls, they are for “price-conscious” and “quality” buyers, she said. Gaisano Grand Liloan is the first mall in the municipality, said Mayor Vincent Franco “Duke” Frasco. Before it opened at 9 a.m. yesterday, hundreds of townspeople, mostly women, waited in front of the four-storey establishment. This will also be the first time for Liloan to have universal banks, both Metrobank and the Philippine National Bank (PNB), according to Frasco. These banks are tenants of Gaisano Grand Liloan. The newly-opened mall generated 400 to 500 jobs, wherein Frasco said 80 to 85 percent of them are Liloan residents.